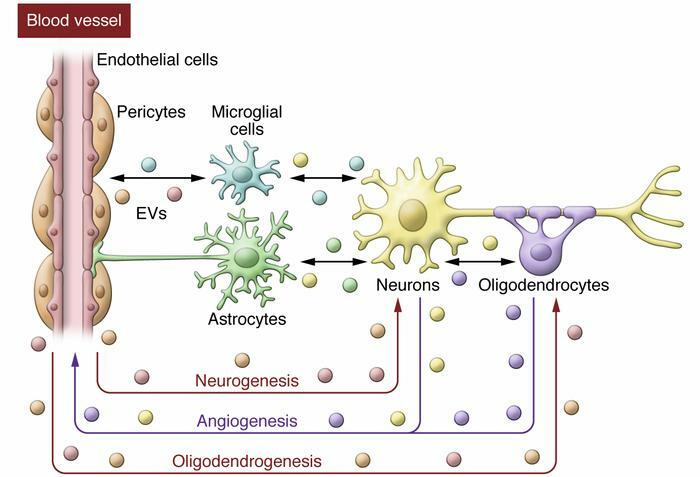 Potential of exosome-mediated intercellular communication in brain remodeling after stroke. Exosomes transfer proteins and RNAs to influence neurogenesis, angiogenesis, and oligodendrogenesis. EVs, extracellular vesicles.